On March 1, 2013, I woke up and decided I was on a mission to change my body. I needed to lose 150 pounds. I wanted to improve my health so I could be there for my children. I was also angry and depressed. I knew I needed to change! Even though I was committed, I had good days and bad days. In fact, I have had a lot of bad days. 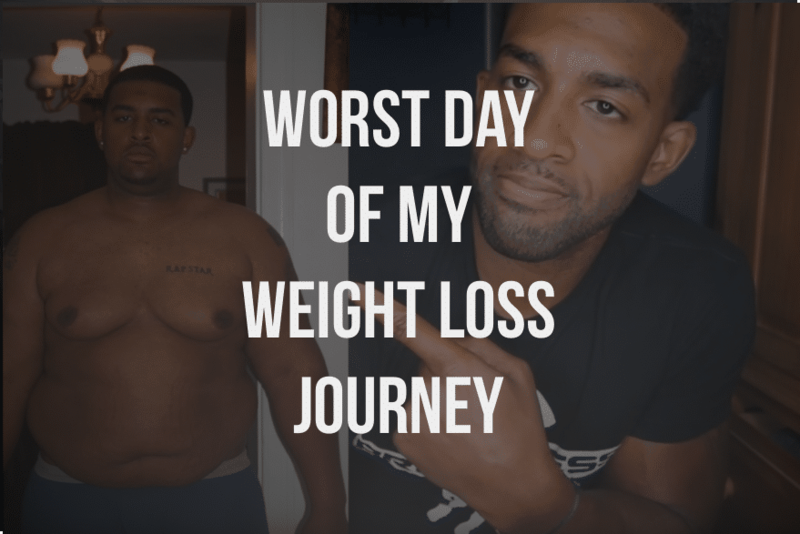 Someone asked me to talk about the very worst day of my weight loss journey and it was difficult to choose just one. One of my worst days happened on a Sunday. (I always weighed myself on Sundays, which I have since learned was a terrible plan. But at that time, I was addicted to the scale.) I was ready for this weigh in because I had been working really hard all week. My diet had been on point and I had not eaten a cheat meal. I got on the scale and it said I had gained 2 pounds. My mind was blown and I spiraled. The scale had so much control over me at this time that when I stepped off of it, I felt empty. I immediately canceled my workout. I then went to iHop and ate an insane amount of pancakes. And then I got a milkshake! I did not go back to the gym for four days. I wound up gaining back 12 pounds in those four days from binge eating and not exercising. All because the scale said I had gained two pounds! Looking back now, I realize it was probably just water weight. I had probably eaten a high sodium meal and was retaining water, so the scale reflected that. But at the time, I let the number on the scale control my emotions. Weighing yourself is a terrible way to track your progress. I put myself through a lot of unnecessary stress because I was so tied to the scale. If you are like I was and addicted to the scale, please throw it out. Judge your progress by your non-scale victories. Are your clothes fitting better? Are you getting stronger? Has your mood improved? Are you sleeping well? What is your energy level? Is your skin clearer? These are all more important than the number on the scale. I should have been tracking my progress through these measurements. If I had, I would not have gotten upset and made unhealthy choices! Remember, even if you are tracking your progress through non-scale victories, you will have bad days. It will not always be easy. It will not always be fun. It will not always seem like it is worth it. In the four years that it took me to lose weight, I’d say at least 200 of them were terrible. But it was worth it! I am so much healthier and happier now than when I was overweight. Keep going, even when it seems like you are going backwards. You are worth it! I really appreciate your stories, the struggle u was going through is helping me understand, alot about myself and given me the confidence to keep going. So true dude! For me too, I had been working out great, chasing the diet plan and all and one day very excitedly I checked my weight on the scale and it showed that I had lost only a kilo. From that day I decided that to hell with this weighing scale. Thanks. I really needed that. Refocused!! !